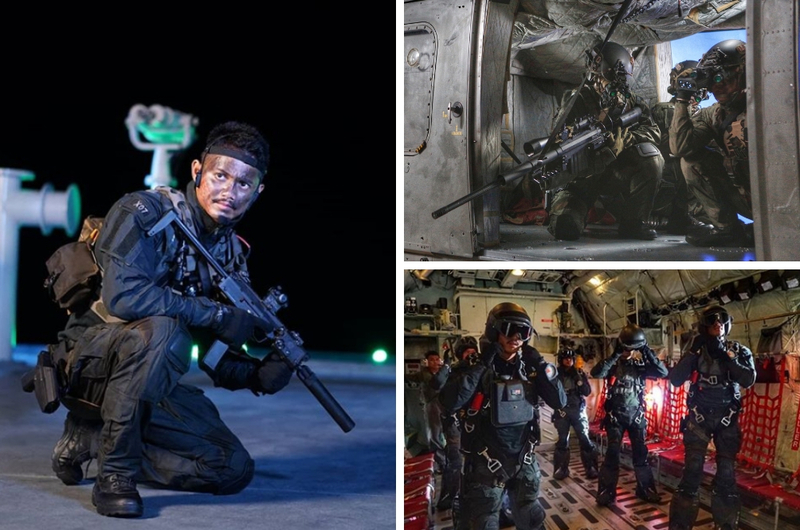 PASKAL Is Hands Down The Most Badass Local Action Movie Of 2018. Here’s Why! They literally brought out all the big guns and didn’t come to play. SPOILER ALERT: This review contains some mild spoilers, so read at your own risk. Throughout the years, we’ve seen local producers and movie directors attempt to make movies about our men and women in uniform serving and protecting the country. Let’s be brutally honest; most of them are quite monotonous or trying too hard to be somewhat inspirational. So, when we first heard of PASKAL: The Movie, we had our reservations. 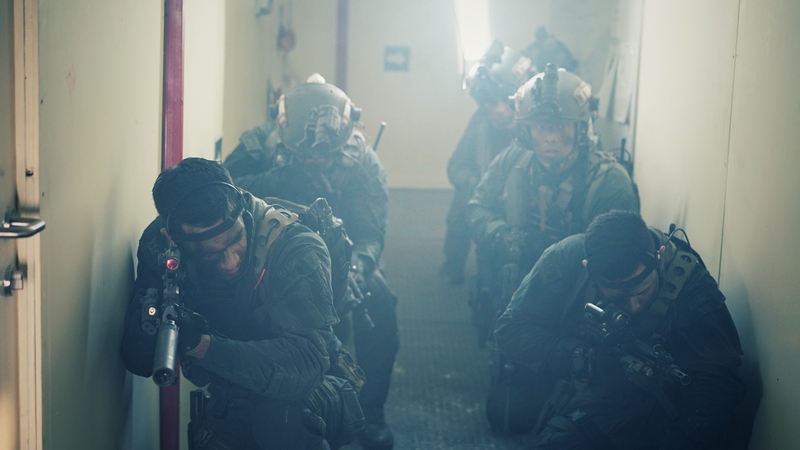 The movie is about our Royal Malaysian Navy heroes – a special elite force named Pasukan Khas Laut, or PASKAL for short. 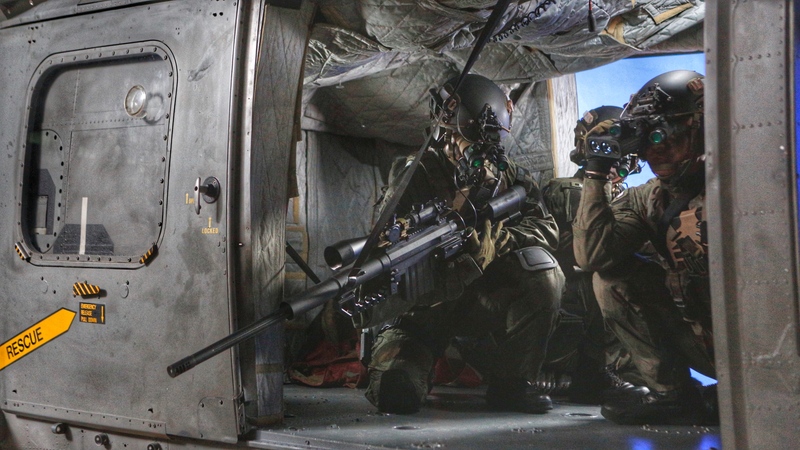 The movie highlights some of the actual successful missions carried out by PASKAL in the past and also showcases how PASKAL members train and battle against enemies in real-life situations. 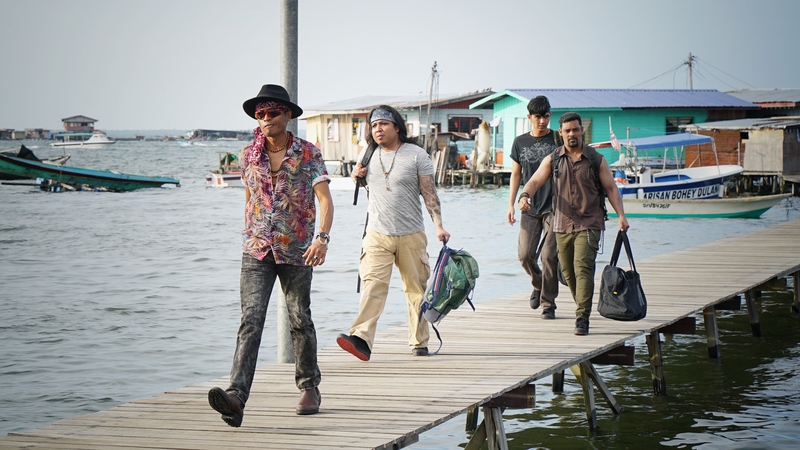 The movie is directed by Adrian Teh and stars local actors Hairul Azreen, Ammar Alfian, Gambit Saifullah, Hafizul Kamal, Amerul Affendi, and Namron, just to name a few. Let’s just say for the first time ever, we gave a big round of applause and cheered at the end of the media preview. 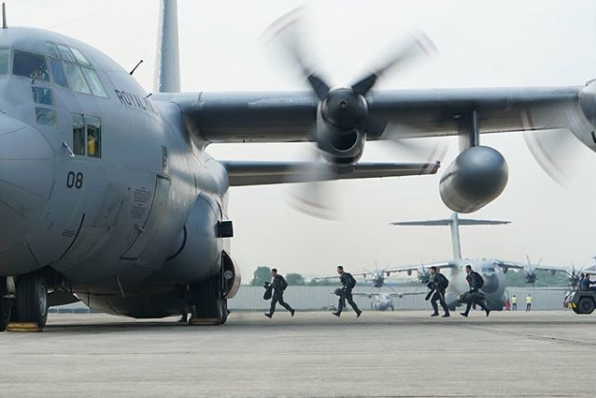 It totally gave us a new perspective on local military movies – it wasn’t a cringey snooze fest, it literally had us on the edge of our seats scene after scene. So, here is our review of the movie PASKAL. Suit up guys, because you’ll have to brace yourselves for an explosive journey when you watch PASKAL as the movie literally started off with a bang. 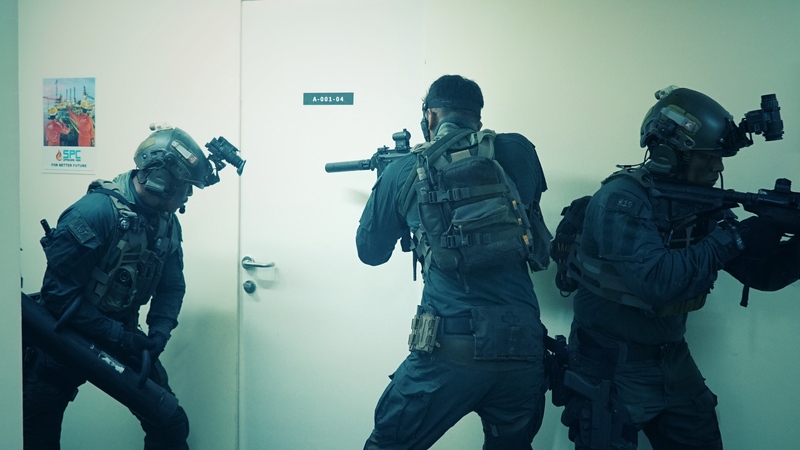 We were introduced to PASKAL’s main character Lieutenant Commander Arman Anwar (Hairul Azreen) and his fellow comrades who were sent out on a special mission called ‘Ops Fajar’, which, by the way, was based on true events. Shots were fired, bombs were thrown, everyone was given a jolt of adrenaline rush. The best part about the action scenes is that they didn't hold back or censor anything; if it was a shot through the head, you'll be seeing that shot through the head. Not too spoil anything, but the opening was just an appetiser on what PASKAL has in store for us later in the movie. They brought out all the big guns (most of them are real, by the way) and explosions, and they even used actual military assets such as the Super Lynx 300 helicopter and the KD Tunku Abdul Rahman submarine. 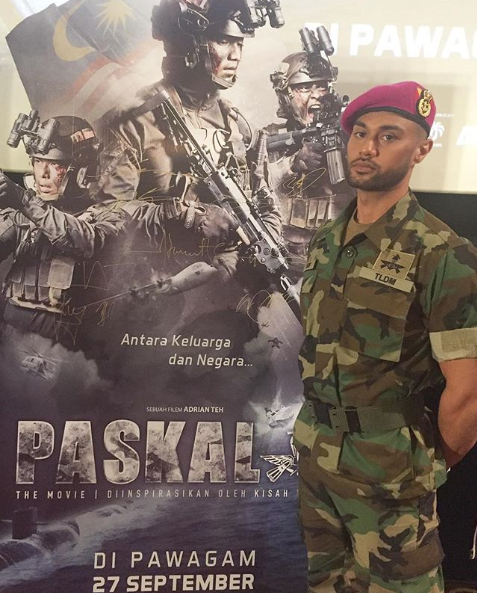 Not only that, they even used real PASKAL members as extras in the movie! How awesome is that? You’ll immediately feel proud seeing how badass it looks on screen and then you'll instantly wish that you were a PASKAL member. We were really impressed how a local movie could be produced can be on par as a Hollywood-level action movie. Guess the RM10 million budget paid off. Also, the fight scenes were so believable that it got us on the edge of our seats gasping and screaming in excitement. We tip our hats to the main casts too as we learned that they did their own stunts! We can assure you no cringe-y tomato sauce scenes or amateur punches were thrown in this movie. When we say he’s bad, we meant it in a good way. Ammar Alfian plays Jeb, the antagonist in this movie. We don’t want to divulge too much on his character because we want you to see for yourself, but what we can say is, he’s killed it in the movie. How outstanding, you ask? Well, if you’ve watched Black Panther, you’d remember Michael B. Jordan’s stellar portrayal of Erik Killmonger and how he’s so motivated by vengeance to reclaim his throne as the King of Wakanda. 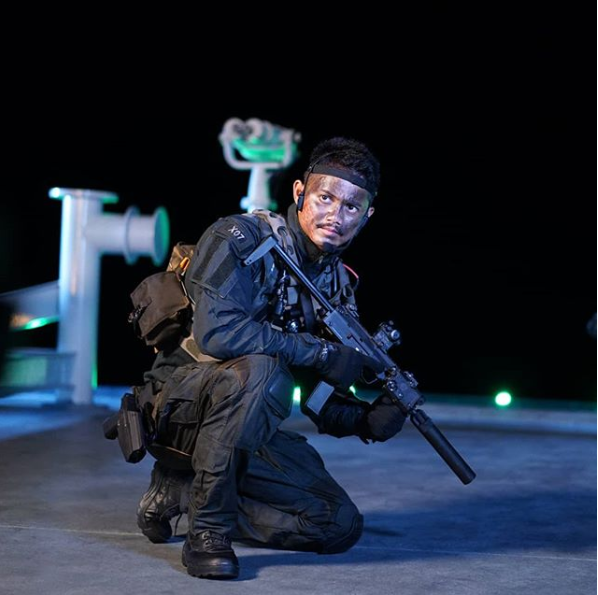 Jeb isn’t really here to reclaim his throne or anything in PASKAL, but he did claim the title of being the evilest character in Malaysian cinematic history. He just oozes a tonne of Killmonger vibe in the movie. On top of that, he probably claimed thousands of hearts, thanks to his bad boy persona. Ammar Alfian’s strong physical build and “whatever-I-do-has-to-benefit-me-in-return” attitude make him a confident, bold and charismatic character that will make you want to be on #TeamJeb instead of #TeamArman. We all know Arman is the main star of this movie and Hairul really did a good job portraying his character as a charismatic alpha leader. But the movie would be a drag without the supporting actors. 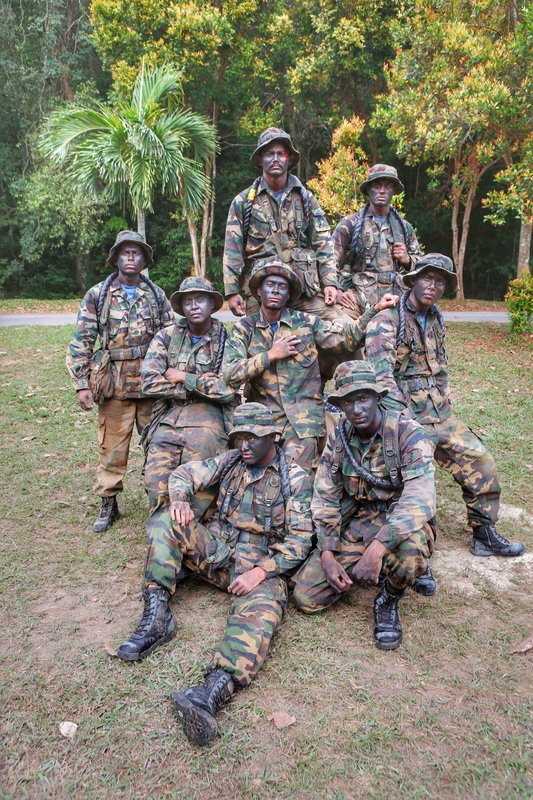 Henley Hii (Joshua and Arman’s best friend), Taufiq Hanafi (Ustaz), Gambit Saifullah (Gagak), Hafizul Kamal (Yan), and Theebaan G (Misi) are part of Arman’s team and each of them has their own personalities that make the group’s dynamic all the more colourful. Although the main villain in this movie is Jeb, he actually works for Rudi (Amerul Afendi), who happens to be a pirate. Rudi has his own swagger, and if people say he looks like a Somalian pirate, we’re sold because he actually does look and act the part. He's probably the comical relief we all need in a serious setting. We love the cinematography pieced together in this movie making it look like a film that has been made with passion and quality. 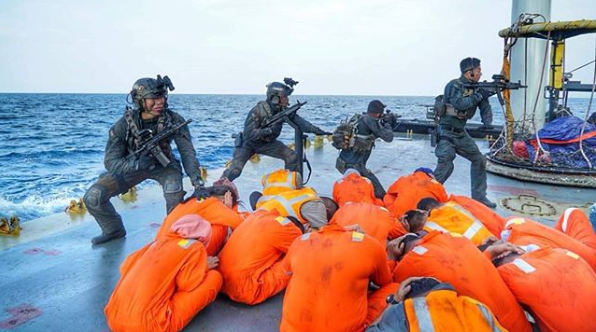 The outstanding scenes would be in the dessert and at sea during combat. The movie was filmed in several locations locally and internationally – Kuala Lumpur, Lumut, Kota Kinabalu, Labuan, Semporna and Turkey. Defending the country and putting your life on the line is seen as one of the noblest things anyone can do for their country, but for Arman, he’s caught in between. He’s at a crossroad of having to choose to either retire and take care of his mom whose health is declining or continue serving the nation. His decision is an interesting one, and you need to watch to find out why. The biggest plot twist involves Jeb, who wasn't really a baddie at the beginning of the movie. So, how did he stray away? In the most unlikely circumstances, but it had to be done as his emotions got the better of him. Overall, 'PASKAL: The Movie' hits all the right notes in what makes a military movie compelling, patriotic, and entertaining all at the same time. They have achieved something that no other local military movie has attained before: they brought out a range of emotions from viewers so effortlessly. We laughed, we cried, we felt patriotic, and of course, we were beaming with pride seeing what our Royal Military Navy is capable of, even if we only got a small glimpse into their lives. It is by far the most badass and we dare say the best local action movie of 2018 as it is packed to the brim with explosions, action scenes, people dropping out of planes and ships; basically everything you ever dreamed of in an action movie. Who says that we Malaysians are not capable of producing such quality film? Malaysia Boleh! We urge every Malaysian out there to go out and watch PASKAL, because you definitely won't regret it. The Rock Is Set To Star In A Movie Based On A Disney Theme Park Ride. Um, What?